This weeks mood felt like trigger time from the get-go and continued in the same vein as the days went by. 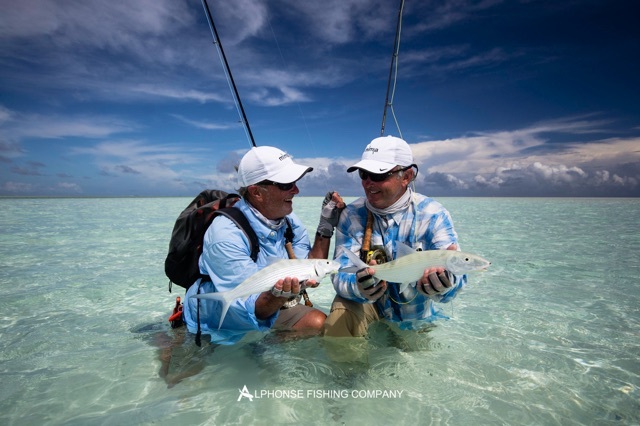 With another full complement of guests ready to test their knots on St François atoll, the mood was set and everyone was ready. 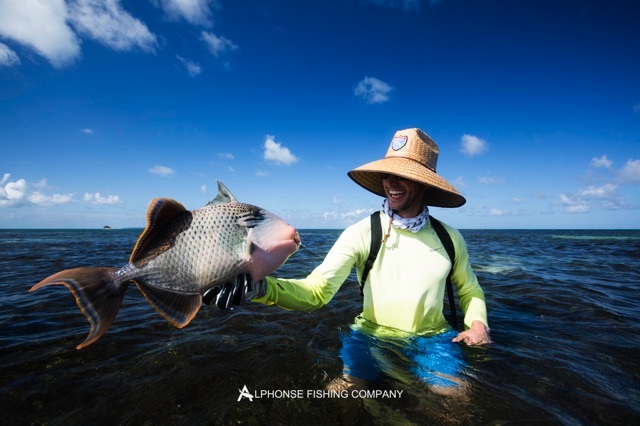 The tides were coming off a spring and moving into a neap cycle, which means everything slows down giving you more time on the flats and keeps the triggerfish tails in the air. With awesome tides you need the weather to play along and fortunately it did, giving us great conditions, with little to no cloud cover and some wind from the South East. 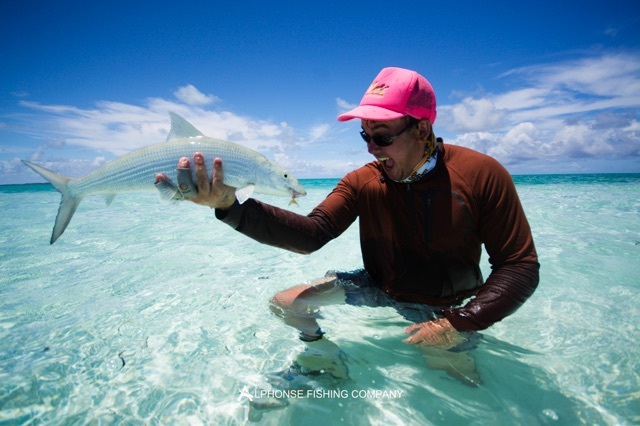 The good, cold and clean water on the flats was making the fish especially happy. 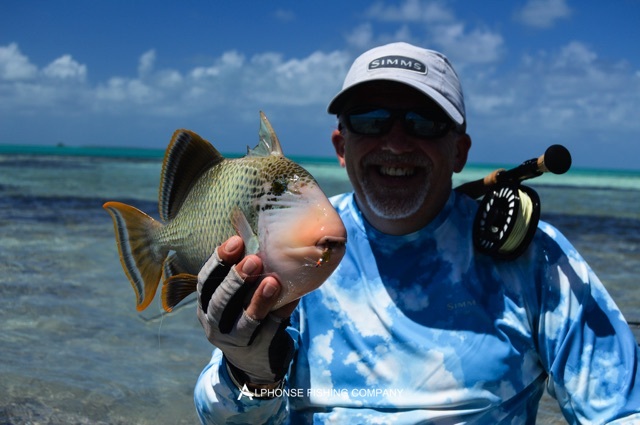 Every angler seemed to have triggerfish on their wish list and it was the name of the game for the first few days. Joel Siedenburg kicked off his happy trigger week with a fantastic 8lb yellowmargin. Later on Joel landed a second yellowmargin making him trigger king of the week. 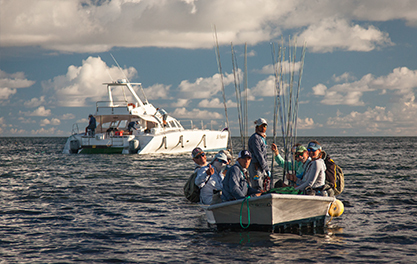 Triggers are never easy, they almost always make the guide swim them out or run after them at a blistering pace. 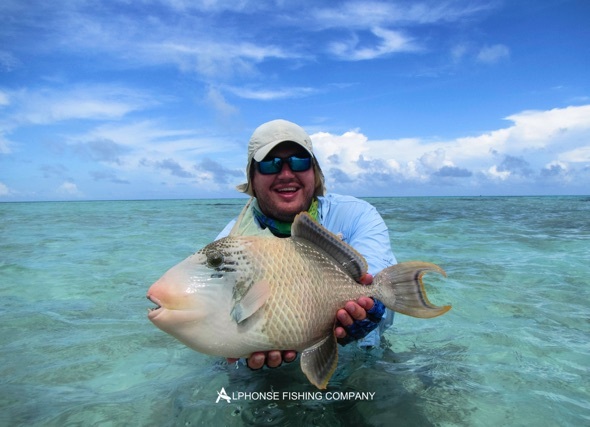 This often leads to a love hate relationship between guides and triggerfish. John Leigh was on the list when he landed another yellowmargin; this fish was chased around with net in one hand and the fly line in the other. 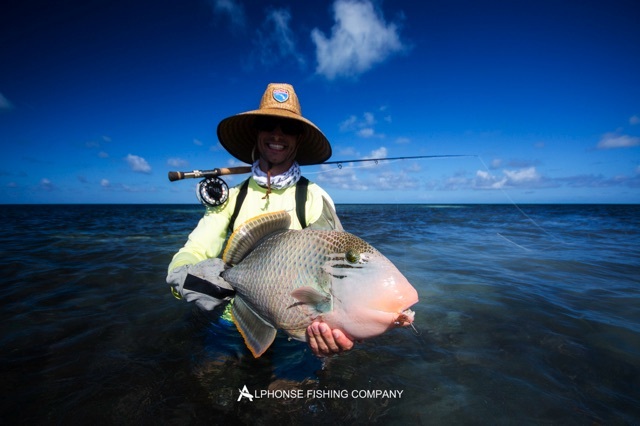 After a good sprint and some skilful manoeuvring of the fly line the fish was finally in the net and ready to have his picture taken. Pierce Smart also joined the trigger club by landing his first yellowmargin. Greg de Villiers was next on the list with yet another beautiful yellowmargin coming to hand. 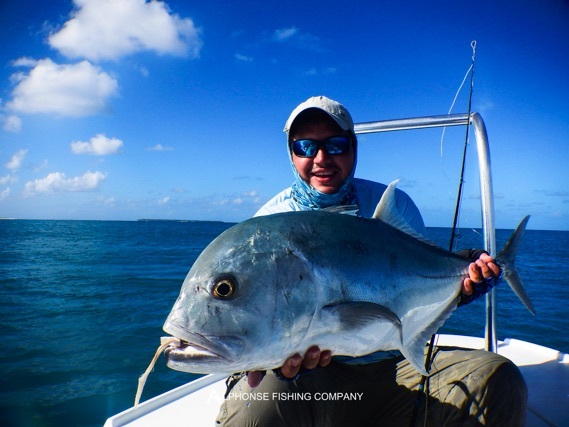 Often when the water level is right for triggerfish it is also perfect for catching Giant Trevally. Three GT’s were landed with Chris Strahl’s just breaking the one meter mark, which made him the only one hundred centimeter club member of the week. On Friday the group converged on the beautiful island of Bijoutier for a delicious picnic and there were smiles all round as people reflected on a very enjoyable week. 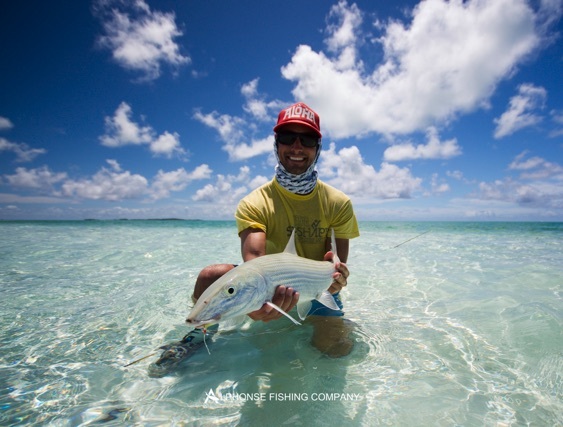 We had landed 622 bonefish, tailed three GT’s and man handled 5 really angry triggerfish. Add all the other wonderful species to the tally and you have a fantastic week. 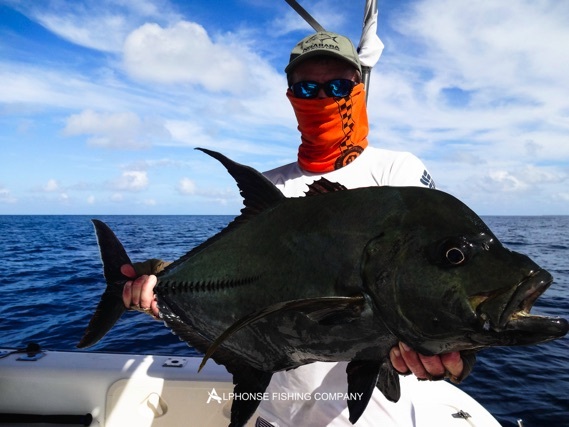 Another great week on Alphonse Island especially for those anglers searching for triggerfish. 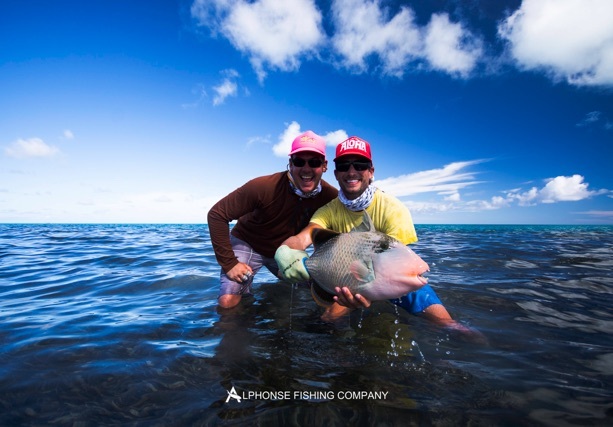 Tight lines from the Alphonse team.